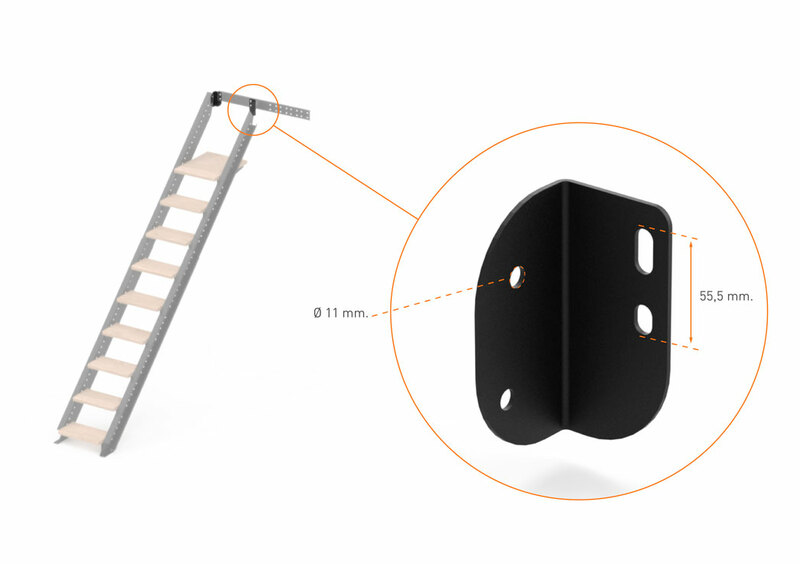 The Long Straight Stairs XL is adjustable in height. 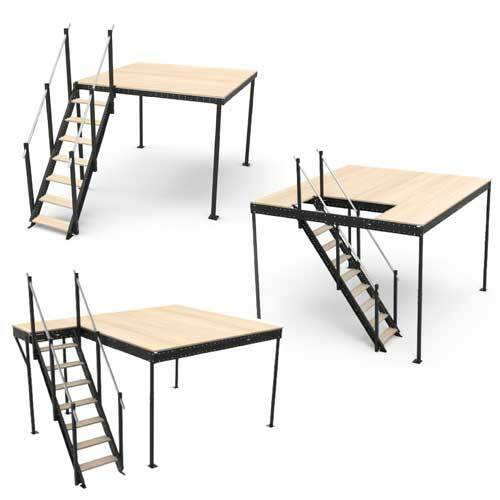 Thanks to its versatile upper connector, the stairs can be placed in different locations. These stairs can be installed inside the Mezzanine XL 32 to avoid the stairs projecting the top view. 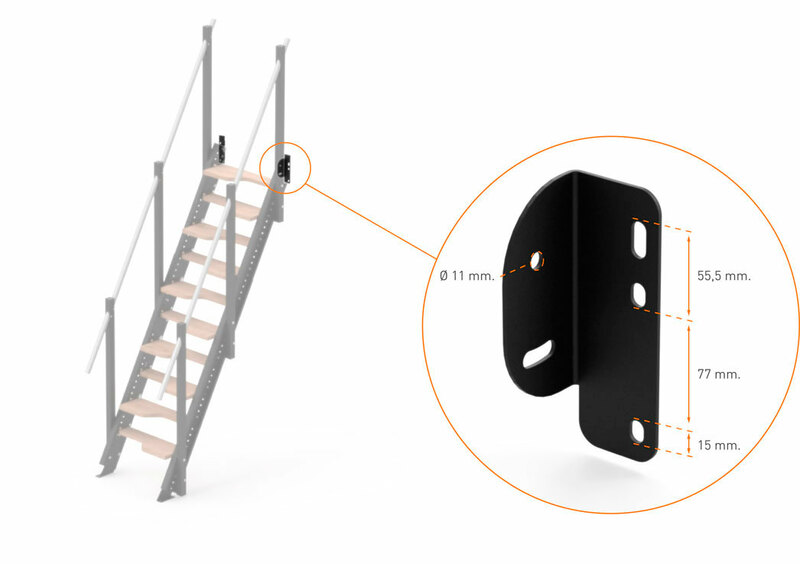 It can also be located in any of the lateral sides, perpendicular or parallel to the mezzanine using a Stair Landing XL. 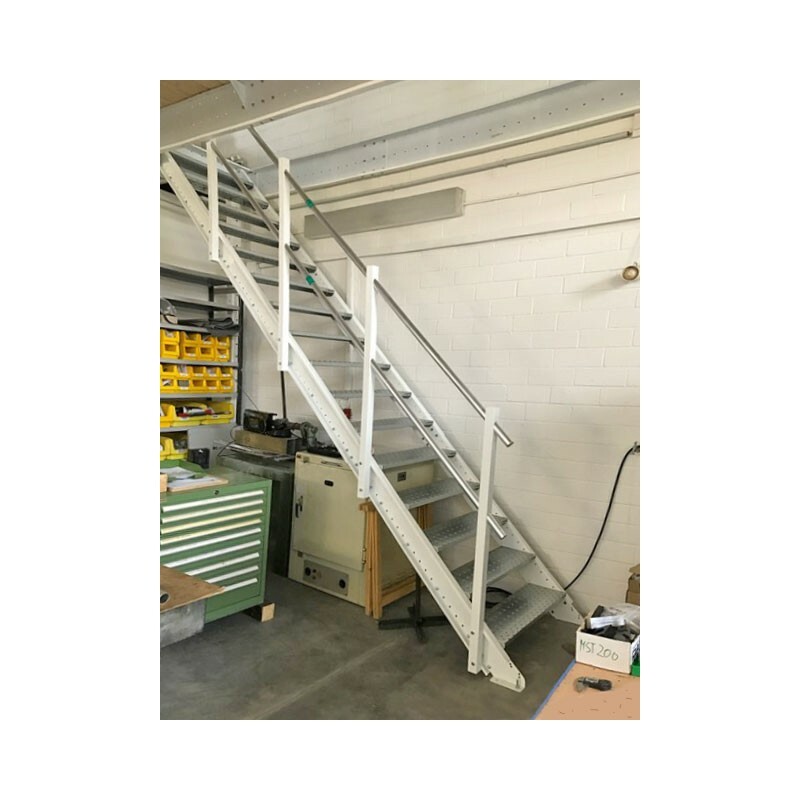 The Long Straight Stairs XL are the ideal element for the mezzanine, as it can be adjusted according to the chosen dimensions by the customer. 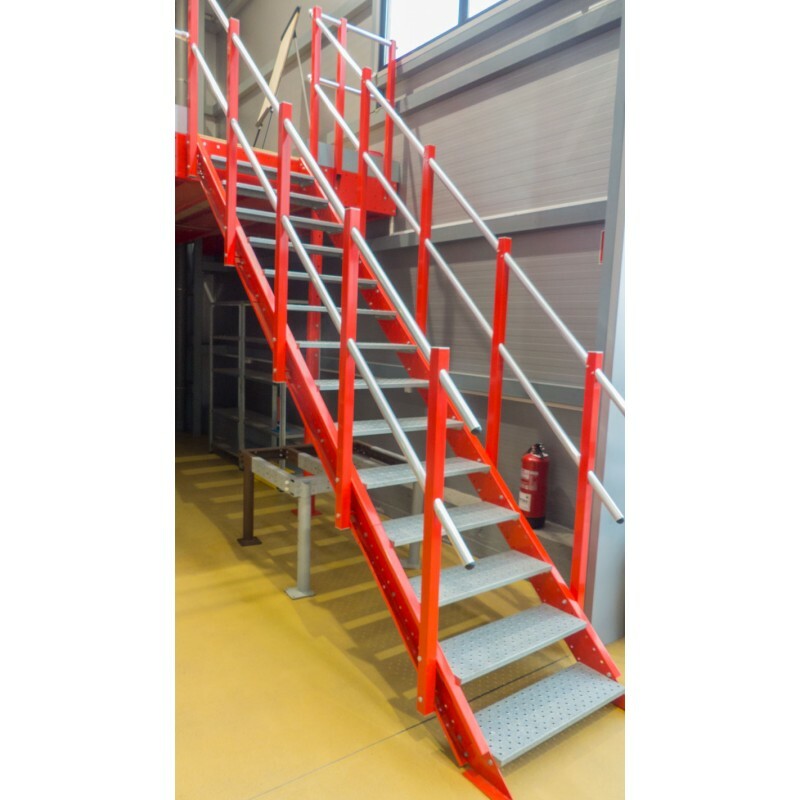 It includes 16 non-slip galvanized Steel steps, 10 painted Steel posts, 2 handrail tubes (3 metres long) made of anodized aluminium, screws and plugs. 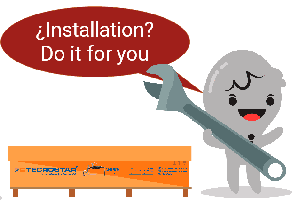 For its installation, it is required to have a height between 282 and 343 cm. 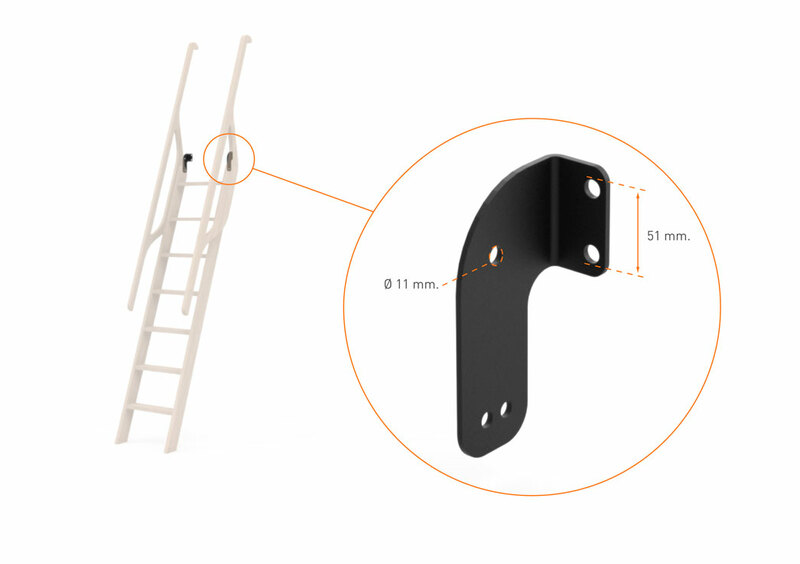 The long Straight Stairs XL reach a height up to three metres and support a maximum load of 150 kg. This model is adaptable and can suit customer needs. It is possible to add a stair landing to have the stairs parallel to the mezzanine and have more steps. 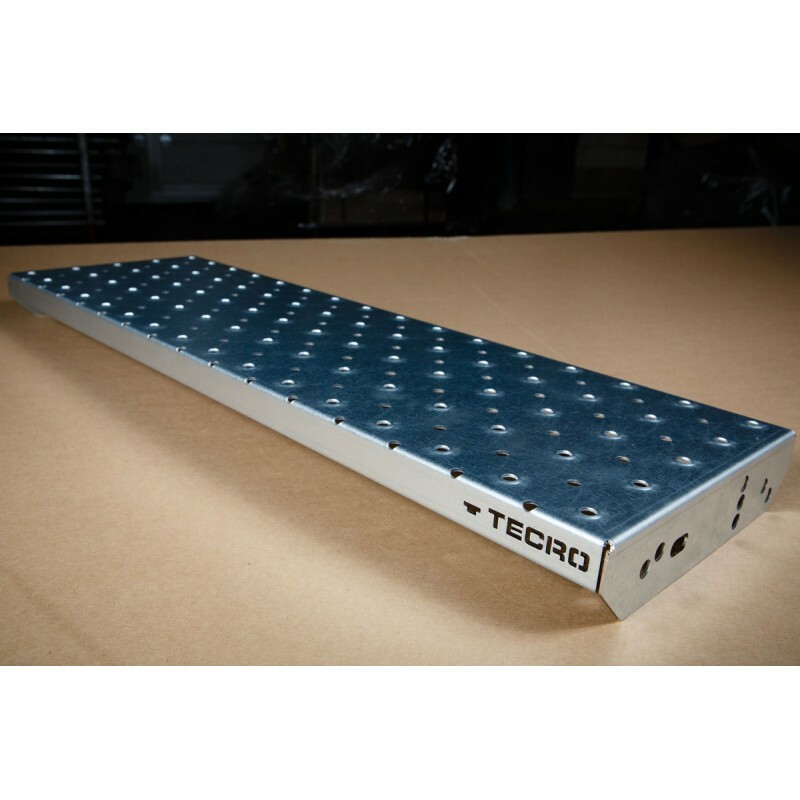 In that case, Tecrostar recommends to have the exact same distance between all the steps to ensure the comfort.